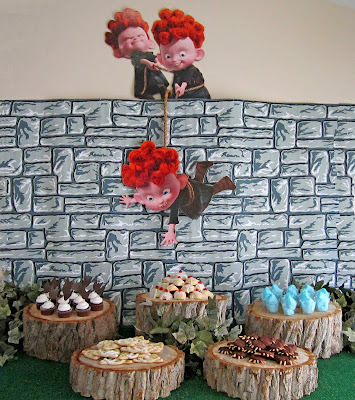 While browsing the internet for castles made of cardboard, I stumbled across this fantastic “Brave” birthday party over at Sweeten Your Day Events. 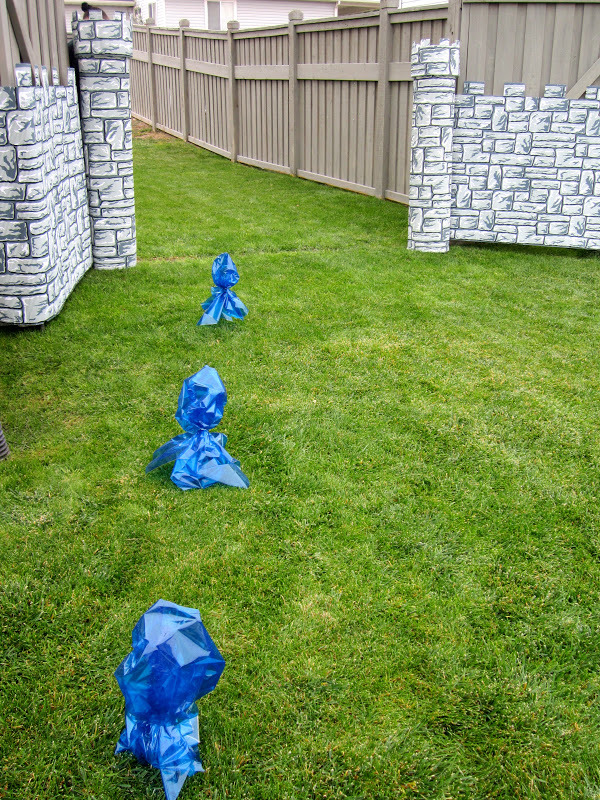 A birthday party theme that any boy or girl would absolutely love. Upon arrival, children were led by wisps across the lawn into the castle entrance. Each kid received Tartans, those plaid sashes, of different patterns for representing their chosen family clan. 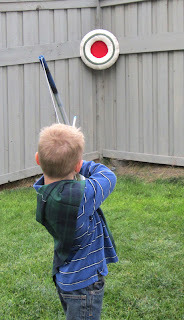 They played Scottish themed games such as Caber Toss, archery, and even a bean bag toss made of nylon and rocks. Their craft was to make a bear claw necklace which doubles as an awesome party favor. I love the arrow tails in the cupcakes. 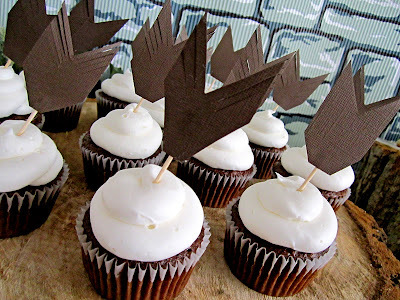 You could take this a step further by adding some red gel or sprinkles in the center of each cupcake to make it look like a target. 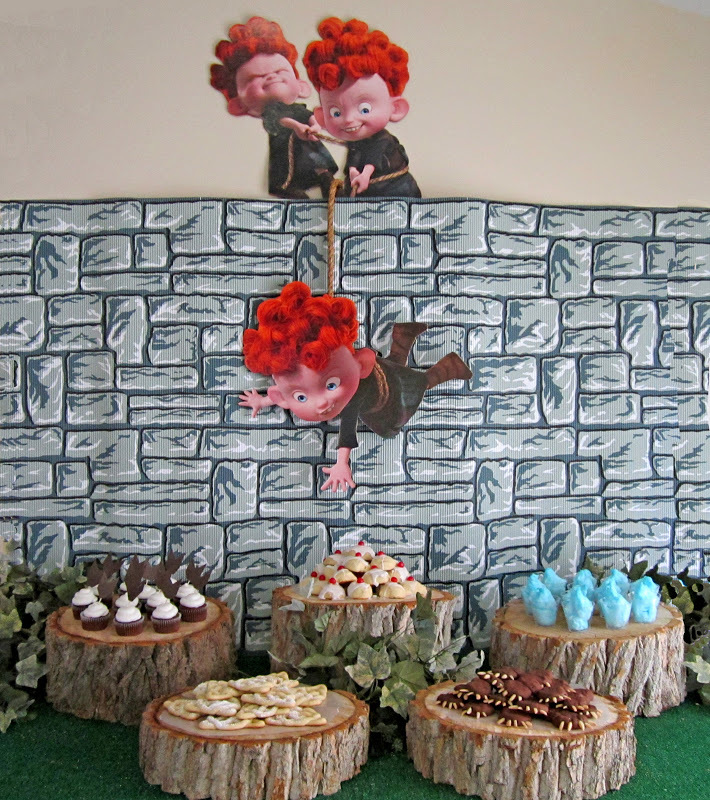 The food display table looked amazing with the wood stumps and movie prop background. The bear claw cookies look so yummy and I love the bubbling cauldron idea to serve drinks from. She includes a full list and recipes at the bottom of the post with all the delicious food they made. Thank you Sweeten your Day Events for all the great ideas and sharing them with us. Make sure and visit their website for more pictures to all the games, themes and food they prepared.